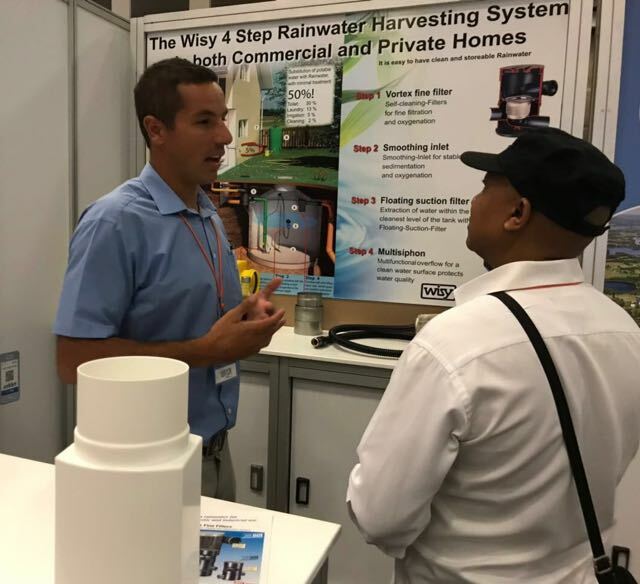 Use-rainwater.com is offering a 5000l Raincell® Rainwater harvesting system and municipal back-up system with water purification. The configuration is perfect for estates where aesthetics must comply with estate specifications and space is limited. 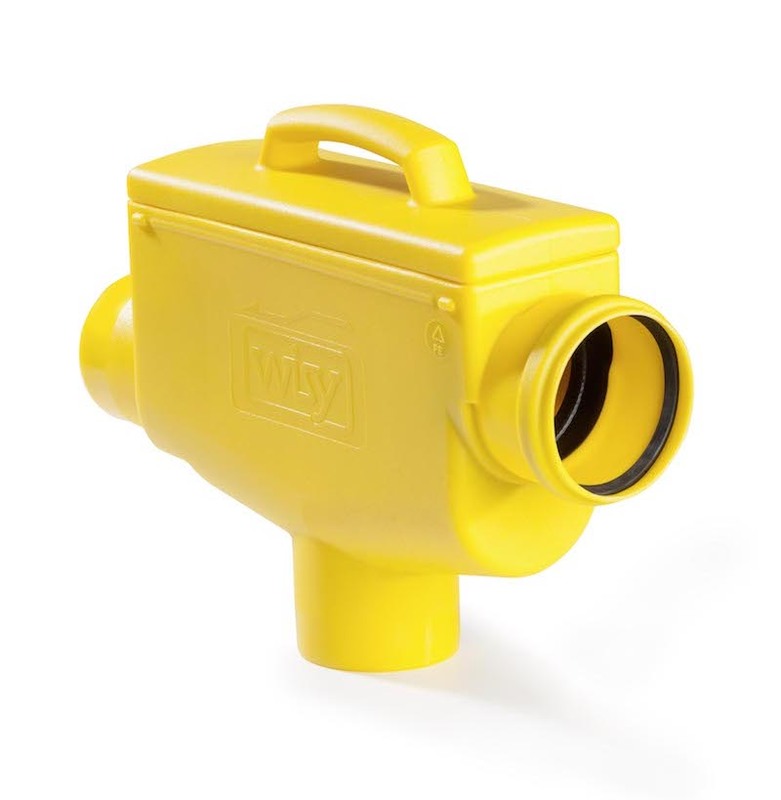 The system makes use of a Wisy RS110 downpipe filter. The stainless steel mesh screen filters out all debris larger than 0.28mm from the rainwater before going into the tank. The piping that feeds the tank can be buried reducing the aesthetic impact a RWHS can have on a building design. The filter is set at the maximum fill height of the tank removing the need for a tank overflow. A tank level gauge is installed which indicates the water level to the user. The water flows into the bottom of the tank through a calming inflow. The calming inflow prevents in-flowing water from disturbing the sediment/bio layer that forms on the bottom of the tank. The bio layer provides a natural treatment of the water. The municipal back up system consists of a float switch and solenoid valve. This allows the user the option of easily adjusting the back-up volume inside the tank. When little rain is forecast and water supply interruptions are likely, the user would raise the float switch and increase the back-up volume. When rain is plentiful and water supply interruptions unlikely the user would lower the float switch to increase the rain-harvesting potential of the system. Water is drawn by our water purification unit through a floating suction. The floating suction draws the older cleaner water from the top of the tank and ensures proper water circulation. All components of the water treatment system are mounted on a sturdy 304 Stainless steel frame. The frame affords the user the option of cladding the unit up in a material that is consistent with the architectural design of the building that the system is being installed in. 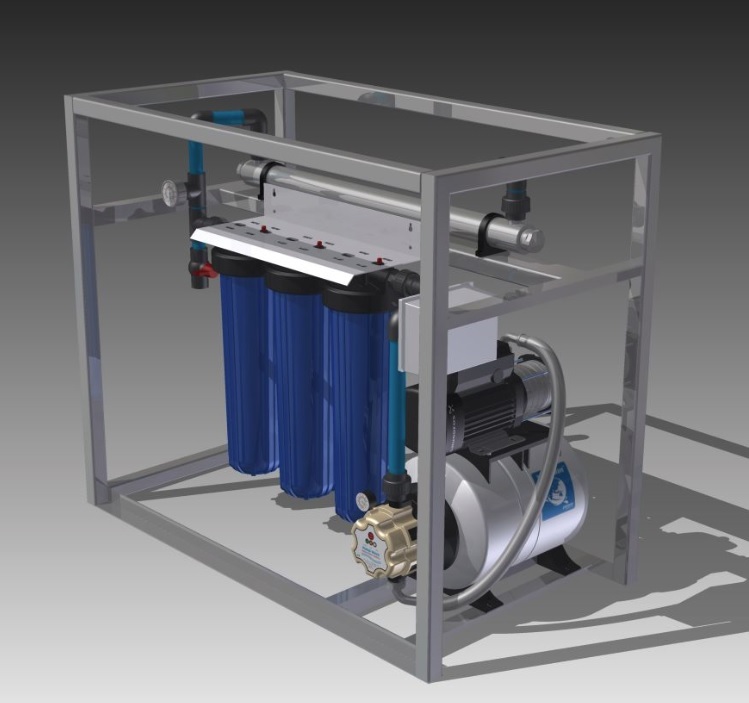 The unit consists of a Grundfos® horizontal multistage centrifugal pump that has been sized to deliver sufficient pressure and flow rate to meet the demands of most households. The pump is very energy efficient and runs very quietly. The pump has being coupled with Global Water Solutions’ 24 litre PressureWave® series pressure tank. The pressure tank increases the longevity of the pump and reduces the energy consumption of the system by reducing the number of pump starts, perfect for households with solar power systems. Small water demands, such as the rinsing of a glass is delivered by the pressure tank. The design and construction of the PressureWave® pressure tank ensures that the system will operate reliably and efficiently for many years without the need to replace EPDM bladders or recharge the air in the cylinder. Pump control is provided by Global Water Solutions’ PumpWave® series electronic pump controller. The controller is designed to work in conjunction with the pressure tanks. Its cut in pressure can be adjusted upwards of 3.5b which is very useful when the system is used in multi-story buildings. The controller provides run-dry protection to the pump when there is no water left in the tank, removing the need for a float switch. 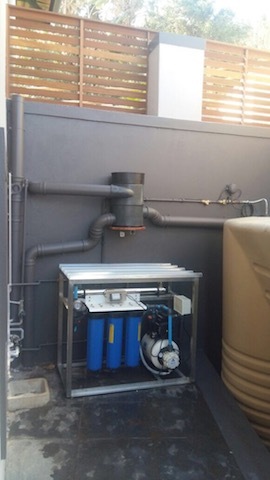 The unit has a tee off before the filters that allows the user to connect an irrigation system to the unit or to run the municipal supply directly through the filters. The unit makes use of a three step filtration process to ensure the cleanliness of the water. The water is first passed through a 20 micron and 1 micron pleated cartridge filter to remove all suspended particulates larger than 1 micron from the water. The water is then passed through an activated carbon and KDF filter to remove any residual colour and odour that might be present in the water. The water is then passed through a UV steriliser to kill any microbes that might be present in the water. The water is tied into a valve junction near the municipal water meter. This allows the user to change over to direct municipal supply when there is an electricity supply interruption. An automated changeover can be installed. A reduced pressure backflow prevention valve is included in the installation. This prevents the possibility of harvested rainwater from entering the municipal supply. This is a requirement of SANS 10252-1 when a rainwater harvesting system is tied into a house holds water supply. Price: R64 900.00 Inc Vat. - The price does not include the tank foundation. A foundation can be provided at additional cost. - The price does not include cladding of the filtration unit.